Yesterday I met and interviewed a very interesting Staten Island denizen named Debby Davis. I discovered her through the Toxic Trails map of Staten Island that she created. This map is probably the most important resource for anyone interested in understanding the history of Staten Island as a repository for New York City’s toxic waste over the last couple of centuries. Davis is a graphic artist who has lived in the Staten Island neighborhood of Stapleton since 1990. She moved to New York City from Connecticut in the 1970s, living initially in the south Bronx and participating in the vibrant East Village art scene of the 1980s. In recent years, Davis has begun exploring the history and political ecology of her home borough. One of the first products of this project was her photography show This is What Time Does: A Year of Walking Richmond Road, which documented the palimpsestic layers of history visible (and invisible) along this road that traverses various neighborhoods on Staten Island’s north shore. 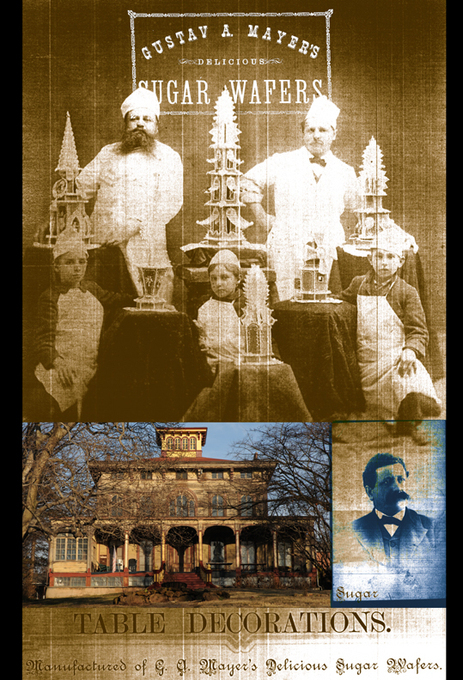 Davis spent a great deal of time in the archives of the Staten Island museum, producing a series of photographs that depict the layering of history through their collage of historical and contemporary images. More recently, Davis began exploring what she described to me as some of the island’s forbidden places: sites of industrial contamination past and present. These excursions led to the creation of her Toxic Trails map of Staten Island. This work is an online, interactive map of the island’s various contaminated sites, from former and current Superfund sites to shipyards, power plants, bus depots, dumps and landfills, gas pipelines and petroleum storage facilities. In addition to being an intriguing example of digital art, Davis’s map is an amazing resource for environmental justice activists. Struggles for environmental justice often are catalyzed when people become aware of the dangers posed to their own and their community’s health by local environmental toxins. 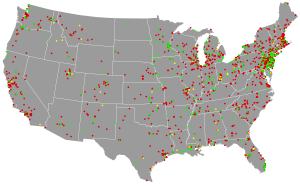 But these toxins almost always come from somewhere else, and they often have a long history of accumulating in the environment. 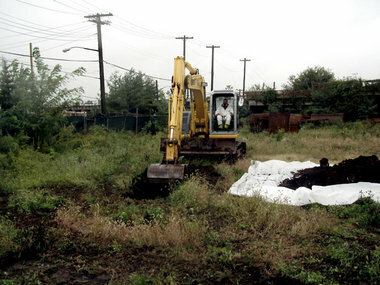 Staten Island, for example, has long served as a dumping ground for the much of the city’s waste stream. The reasons for this are complex and multiple. 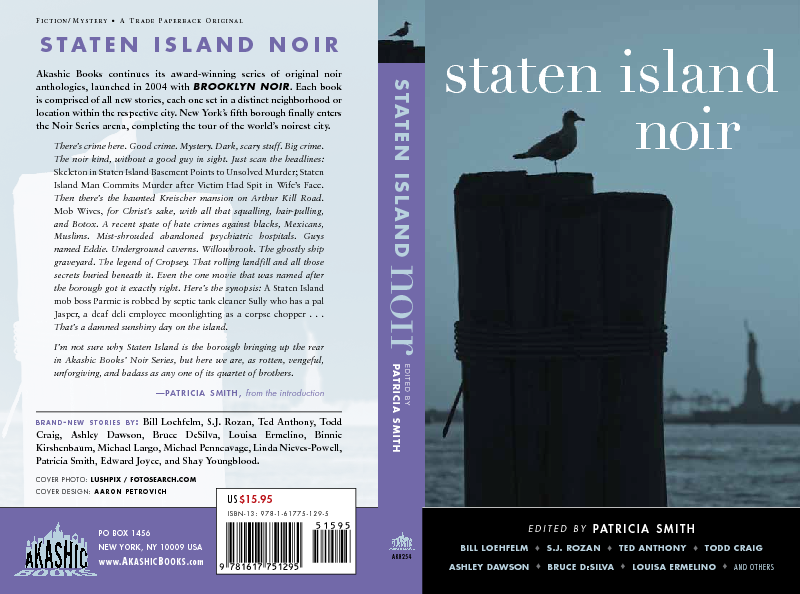 Part of this history has to do with deeply inscribed perceptions of marshes such as those that surround much of Staten Island as a form of natural wasteland. Another part has to do with the Mafia control of New York City’s garbage hauling industry. In addition, though, the land and those who occupied it had to be seen as lesser in one way or another in order to legitimate the creation of a massive landfill such as Fresh Kills. 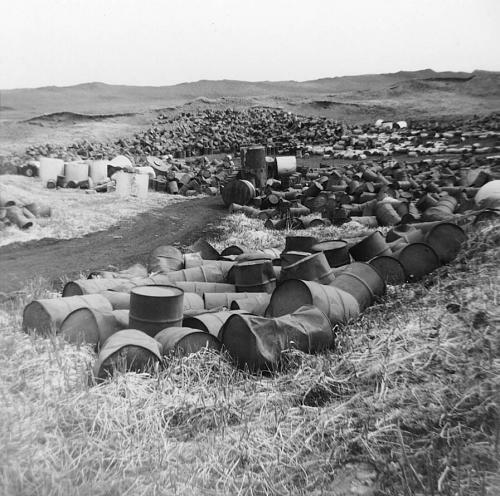 Much of the strength of the environmental justice movement in fact comes from the legitimate outrage felt by communities over precisely such form of race- and class-biased location of toxins. It is no coincidence, then, that I came across Debby Davis’s toxic map at an event organized by the North Shore Waterfront Conservancy, one of Staten Island’s grassroots environmental justice organizations. Her work is an incredibly important resource for such groups, illuminating the past and offering implicit lessons to help build a better, and more just, future. 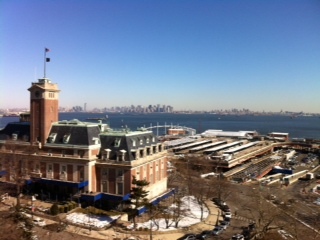 I live next to the New York City harbor, in a Staten Island neighborhood called St. George. It’s an atmospheric place. I remember waking on one of my first days in my new apartment to the sound of fog horns out in the harbor as a thick bank of fog rolled in from the ocean and turned the air into a gauzy gray fabric. There’s constant activity on the bodies of water that St. George abuts: the Staten Island ferry comes to dock a stone’s throw from my window every half hour, lighter barges filled with fuel oil get shunted around the harbor by tug boats, cruise ships the size of a small city glide past on their way to the Caribbean, and huge container ships pass by on their way down the Kill van Kull to the massive Port Newark-Elizabeth Marine Terminal, the busiest port facility in the eastern U.S. MSC, Maersk, Italia are just a few of the shipping lines that go past regularly, bringing huge containers filled with products from the rest of the world to sate the seemingly bottomless lust for consumption of us Americans. The Kill – a label left over from the area’s Dutch colonial era, with a far more benign meaning (“stream” or “riverbed”) than a non-Dutch speaker might assume – is itself constantly changing. One of the busiest waterways in the region, its sandy bottom must be continually dredged in order to accommodate the large container ships that pass up it on their way to the city’s port. In many places, in fact, excavation has hit bedrock, and the Kill has to be blasted with dynamite in order to render it deep enough for shipping. So, mixed in with those foghorns and blasts of the ferry’s departure horn are occasional distant explosions. 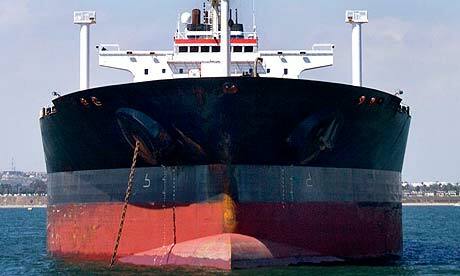 Shipping is undergoing a revolution that is roiling the waters of the Kill. Fifty years ago, goods being transported around the world had to be transferred individually from ship to truck to train. This required armies of dock workers in ports around the globe, creating lots of employment, but also generating very high costs for merchants transferring their wares from place to place. This process of shifting goods from ship to shore, or “breaking bulk,” as it was known, often amounted to half the costs of shipping. Dockworkers also tended to be not just notably cosmopolitan but also quite radical, and, occupying a key node in the global supply chain, could paralyze commerce in a way that was very threatening to capital. Containerization solved these problems. As Marc Levinson details in The Box: How the Shipping Container Made the World Smaller and the World Economy Bigger, goods began to move around the world beginning in the 1960s in gigantic steel cans called cargo containers. As a result of the rise of this standardized mode of transport, the flow of goods was revolutionized. Transportation costs were cut radically and reliability was dramatically raised since goods no longer had to languish in warehouses waiting for workers to pack them individually into the holds of ships. As a result, as Levinson explains, it became “economically sensible for a factory in China to produce Barbie dolls with Japanese hair, Taiwanese plastics and American colorants, and ship them off to eager girls all over the world.” Containerization, in other words, facilitated the processes of offshoring that have helped to deindustrialize countries like the United States, while shifting much toxic industrial production to developing countries in Asia. Containerization also fundamentally changed the shape of cities, since it meant that large working class dock districts with deep and important roots such as London’s East End often became moribund when port facilities shifted to deeper waters. The Isle of Dogs, once the heartland of London’s working class culture, was transformed in the 1980s into a haven for yuppie financial-sector workers living in converted warehouses after containerization destroyed the port of London. But pollution never really goes away. All of those abandoned Barbies and superannuated cellphones – made of toxic non-biodegradable substances like plastic – have to go somewhere. In the case of New York City, that somewhere was, until very recently, the ironically named Fresh Kills Landfill, at 2,200 acres one of the largest waste dumps in the world. The landfill is located on and named for the Fresh Kills estuary, a wetlands ecosystem that drains and purifies water from much of the western portion of Staten Island and deposits that water into the Arthur Kill near the Isle of Meadows. There’s a lot more to say about Fresh Kills, which New York City is currently planning to turn into a park, but I’m going to save that story for later. The ships that transport all those products stacked neatly inside containers also bring their own forms of toxicity. A recent United Nations study revealed that annual emissions from the world’s merchant fleet have reached 1.12 billion tonnes of carbon dioxide, nearly 4.5% of global greenhouse gas emissions. The shipping industry, the report suggests, is one of the world’s biggest sources of climate change, after automobiles, housing, agriculture, and industry. By comparison, the aviation industry, which has been under intense pressure from activist groups like Plane Stupid, generates only about half as much greenhouse gases as shipping. Like aviation, shipping has fallen between the regulatory cracks because it is an international activity. Yet it has profoundly local impacts. According to the North Shore Waterfront Conservancy, an environmental justice activist group based in Staten Island, the Kill van Kull is in violation of the U.S. Environmental Protection Agency’s Clean Water Act. In addition to dirtying the water, however, shipping also pollutes the air. Cargo ships burn low-grade diesel fuel that generates sulfur and soot, which in turn gives rise to acid rain, lung cancer, and other respiratory problems. The neighborhoods that fringe the Kill van Kull, most of which are heavily African-American and Mexican-American, in fact have some of the highest rates of asthma in New York City. The only significant controls on such emissions at present are imposed by the New York harbor master, who mandates that ships slow down as they enter the Kill van Kull in order to diminish the otherwise massive wakes they generate. One of the many simmering debates over environmental injustice currently unfolding on Staten Island concerns a radical change about to unfold in global shipping. Maersk, the world’s biggest shipping company, has just bought ten of the new “Triple-E” size container ships. The proportions of these things beggar description: nearly twice as large as the majority of the world’s current cargo ships, they are as long as the Empire State Building is high, and as wide as an eight lane highway. They are able to transport 860 million bananas or 18 million flat-screen televisions at once. Maersk boss Eivind Kolding reports that the company hopes the ships will cut the cost of transporting containers by 25 – 30%. Maersk is touting the advent of these ships as an environmental boon. Kolding argues that they will consume 50% less fuel than the current industry average. But this greater fuel efficiency is likely to be offset and swamped by the increasing quantity of commerce carried by these “New Panamax” ships (so large that they will not fit through the Panama Canal). Although each unit of pollution emitted by the ships may be diminished, in other words, the increasing trade they carry will lead to a significant aggregate increase in toxic emissions. As is so often the unfortunate case, trade and the environmental are seemingly at odds in this transformation of shipping. Only seven ports in the world can currently dock such ships. None of them are in the United States. There are serious concerns that the U.S. will be cut out of trade routes linking East Asia, the Middle East, and Europe, where all the port facilities capable of docking New Panamax ships are currently located. As a result, pressure is building to re-engineer port facilities in the U.S., including those of New York City. This would mean further dredging and blasting of the Kill van Kull. It would also mean that the Bayonne Bridge, which spans the Kill, connecting Staten Island to New Jersey, would have to be demolished and replaced by a more elevated bridge. And, most importantly, it would also mean more toxic emissions for the people living along the Kill van Kull on Staten Island. The North Shore Waterfront Conservancy, the fledgling environmental justice organization with which I have been involved over the last year, has tried very carefully to position itself as pro-business as well as pro-environment. The conflict over the ships entering the Kill van Kull is likely to be one in which these poles prove very difficult to reconcile.